Vodafone India has launched a ‘my Vodafone’ app for its subscribers to let them manage their Postpaid and Prepaid mobile services. Similar to Bharti Airtel’s ”my airtel app‘, ‘myVodafone’ app is free to download application includes ability to check outstanding postpaid bills and un-billed amount, recharge prepaid accounts, make online payments, activate or deactivate any VAS service on postpaid and prepaid mobile etc. 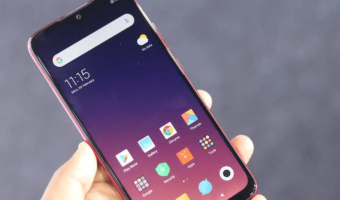 Users can also raise requests/ complaints and track their status as well as he/she can view their current 2G or 3G data plan details and data usage. Currently ‘My Vodafone’ app is available for Android smartphone users through Google Play Store only and is expected to launch on other Mobile OS soon. View your current bill details, charges, un-billed amount, credit limit etc. View current voice plan details, data plan details and recent data usage. View and subscribe to Best Offers. View current data plan details and data usage. To see your account information in the app you need a My Vodafone Login ID and password. If you have and existing Login ID and password (created on Vodafone India website) you can use the same. Else you can create a Login ID within the app (using Register option). Same Login ID and Password can be used on Web and the app. 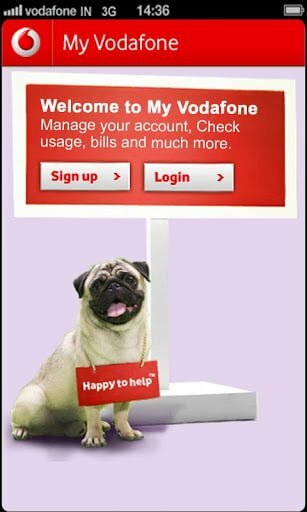 For more help with the my Vodafone app, speak to your local Vodafone Customer Care or call 111.